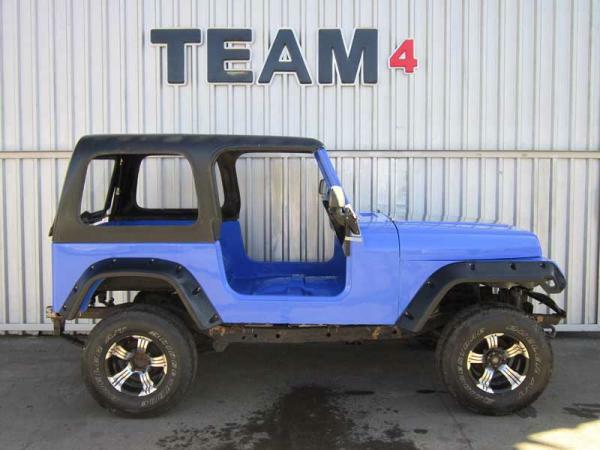 We manufacture a Hard top for the Jeep CJ7 and Wrangler. This hard top will retro fit on the original Jeep CJ7 and the Wrangler YJ. With some minor modifications, this top can be fitted to the TJ Wrangler as well. Together with the top, we also make doors, with sliding windows. These windows will slide up an down, instead of the conventional forward and backward slider. The finish on the CJ7 hard top is a smooth glossy surface. Steel mounting points are integrated into the roof area for the mounting of a roof rack. Because of colour choice, these products need to be ordered and are not in stock all the time. Depending on the factory, these tops can be delivery ready in 14 days.. Doors may take longer, depending on availability of the door glass.